We are a conventional and portfolio mortgage lender and we’re expanding! Now offering residential and investor loans in Alabama, Colorado, Florida, Georgia, Idaho, Iowa, Louisiana, Oregon, Pennsylvania, Texas, Virginia and Washington. Experienced Realtors specializing in rural properties, VA Loans, first-time home-buyers, growing families, down-sizing, investment properties and more. Up to $6000 cash back! 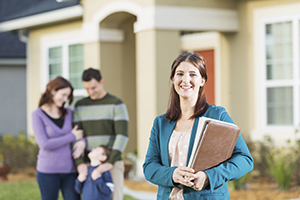 Click to learn more about the Hurst Realtor Match referral program. We pride our self on having a unique virtual, work from home staffing model. Many of our team members are stay-at-home parents who want a professional role with flexible hours. Our team members tend to have college degrees and all of them have the ability to work from home with flexible hours. We are adding team members to support our fast growing conventional and portfolio loan business. If you are interested in joining our team, please visit our careers page. Almost anyone whose mortgage is more than 2 years old can save money by refinancing at current interest rates. but I don't want to make a big down payment." "Does anyone even offer mortgage loans for condotels?"